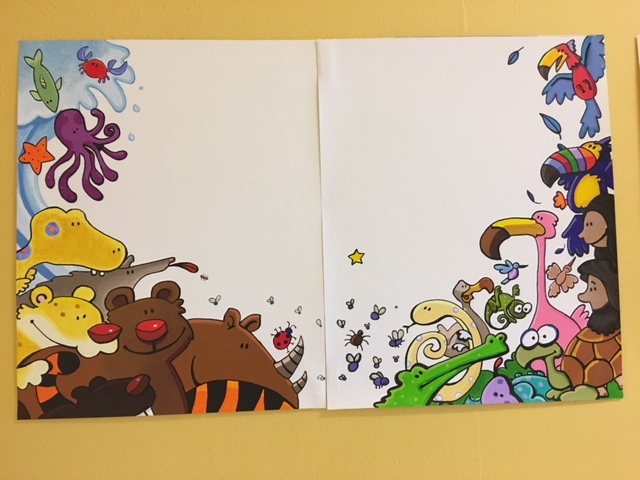 Recently, an artist donated several pictures to FPC to hang in the Children’s Wing. The gifts are replicas of the pictures in the Spark Bible which the toddlers — 2nd grade use for Sunday school and children’s church. “The anonymous artist serves as a volunteer in our program and has painted and donated these pictures. 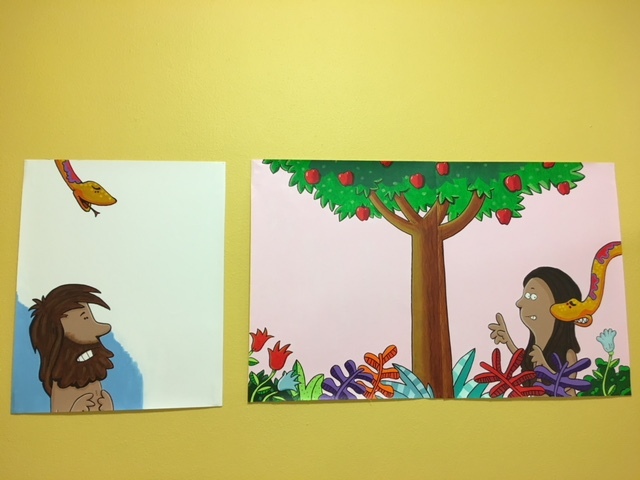 They look great in our space and really bring it to life,” said Phyllis Kidwell, Director of Christian Education at FPC. The artist is working on more which will be shared in the future. Stop by and take a look at these wonderful works of art!